Canvas @ YaleInstructor Guides SettingsHow Do I Change My Course Name and Course Number in Canvas? In your course navigation bar, click the "Settings" button. 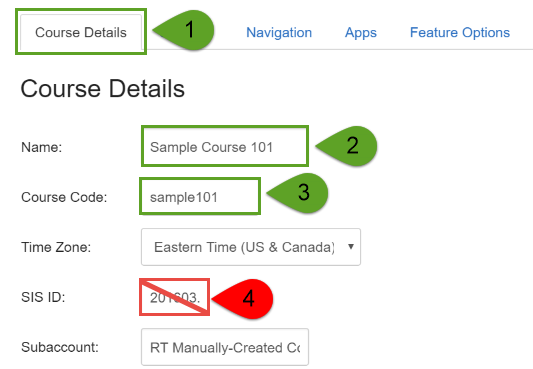 On the Settings page, you will first need to click on the "Course Details" tab . On the Course Details section, you can edit the Name  and Course Code . NOTE: YOU MUST NOT CHANGE THE SIS ID . Once you have made your updates, scroll to the bottom of the page and click the "Update Course Details" button to save your changes.